One of our most energy efficient gas furnaces, the EL296V, has earned an efficiency rating of 96% AFUE * and is ENERGY STAR® qualified. This means your energy expenses could decreases and you can enjoy the good feeling of environmental responsibility. These efficiency levels are reached, in part, from the furnace’s variable speed motor, which alters the speed at which warm air is pumped out to maintain a consistent heat over time without using lots of energy in the process. 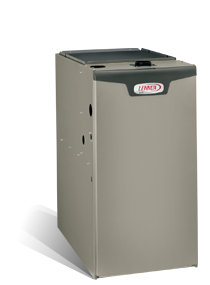 Ready to find out how the EL296V gas furnace can make your home more comfortable year round? Need help with a gas furnace repair or want to schedule a gas furnace maintenance visit? We can handle it all. Our staff is trained, experienced and ready to help. Make an appointment or call 740-594-8381 for Athens or 740-654-4328 for Lancaster now.